Students from seventh through twelfth grade at the school where I teach are interested in comics. Actually, I have recently learned that the correct term for these books is graphic novels. I see them reading during lunch, on the school bus, and sometimes they even try to sneak reading them during class. I love when I see the kids so excited to read. Learning Spanish can be challenging and tedious for teenagers. Older students often have to struggle to acquire the language. As a teacher, I have always tried to tap into my students’ interests in order to make learning fun. The comics that they so love to read were perfect for the Spanish classroom. I started by introducing my students to the iconic Malfalda character from Argentina and found other comics on-line that were easy to understand due to the illustrations that accompany the dialogue. 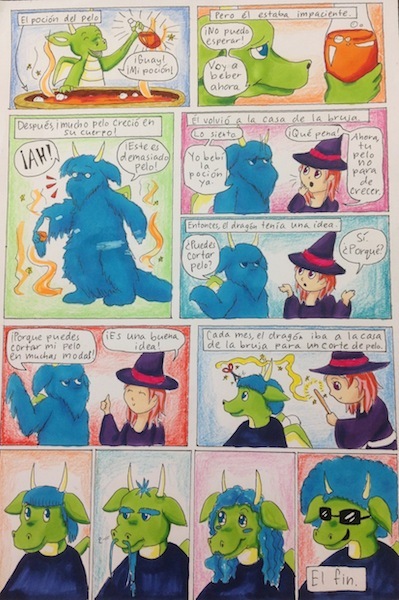 I wanted to give the students the opportunity to not just read comics in Spanish, but encouraged their creativity by having them write and illustrate their own works. The library technician at our school, Tommy Kovac, is a talented and published graphic novelist. He has experience both in writing and illustrating some amazing stories. His graphic novel “Wonderland” was published by Disney and selected by the American Library Association’s “Great Graphic Novels For Teens” list. Tommy took the time to teach my students about the creative process of writing and drawing graphic novels. The students were enthralled and intrigued to learn the process involved with writing and illustrating in one their favorite genres. 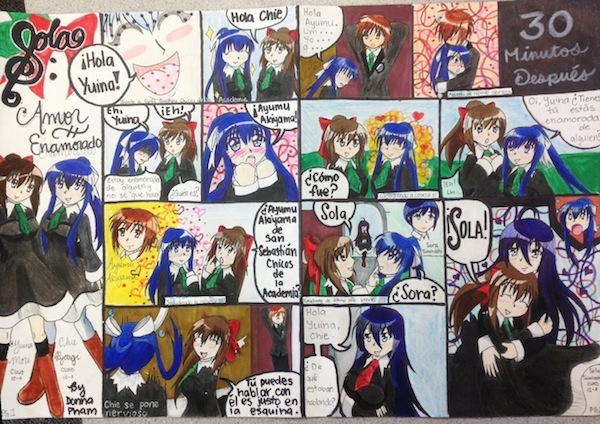 I assigned a project that had the kids take what they learned to create their own comics in Spanish. They were enthusiastic and eager to get started, and spent the next couple of days in class working. The work that the students produced was absolutely incredible! My efforts to teach Spanish benefit enormously when I take a creative and artistic approach for engaging the learners. 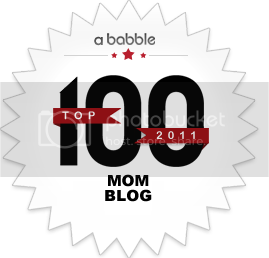 So much that I do in the classroom interests my own bilingual children. 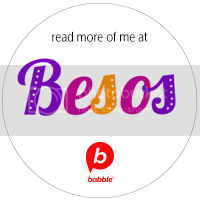 The activities that we do in class, the books that we read or the songs that we sing can all be adapted to further the linguistic abilities of my own bilingual children. My young sons loved looking at and having me read them the projects of my students. They too were inspired to create their own stories, draw their own characters and tell me their tales in Spanish. Sometimes tapping into our children’s creative and artistic natures fosters learning and imagination beyond our expectations. Introduce your children to comics in Spanish, encourage them to write their own, and wait to be amazed by the results. 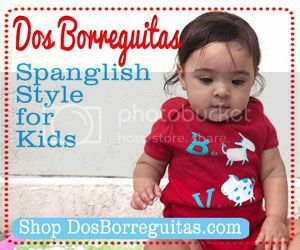 To Teach My Daugther to Read in Spanish First or Not? Excellent article! What a progressive and inventive way to teach a new language. And I love the integration of the arts in a meaningful way by using comics…very teen fruiendly media choice. Bravo. and hard work. Where you confused us was on all the specifics. You know, people say, details make or break the argument..
most likely the reason why I am taking the effort to opine. how you seem to connect the ideas which produce your conclusion. in the future you link your dots much better. one over the other, and each level can have its own set of rules and effects applied to it. They also exhibit a willingness to answer questions and to make a patient feel safe and comfortable. your kids in pastel tones especially when summer comes. too. This is the most deciding factor before you proceed forward. to Jane Norman Dresses. Interested in setting up your own clothing boutique. I suppose white will always be on-trend for summer. goal. Those who want to get rid of such problems must have tried various anti-ageing products, but found no result. Comparative Physiology recently published a report that connects hypertension and obesity. Pour into sterile fifty percent-pint jars, seal, and cool. risks they had as an overweight individual. touch of their signature. The latest celebrity fashion brings dogs which are a high fashion commodity being traded in of recent. There are also many cheap bandage dress in the markets. Nature trinkets like flowing water, reeds, shells, and branches are much more contemporary than the typical flower-and-vase setup. Their assistance will make your resettlement unproblematic and calm. this buying guide may come handy. Earlier the study material was provided to the individual as printed media but now cd’s , radio ant many more. they would guide the work of moving in a very efficient and smooth way. But don’t forget to investigate them as fraud cases are always on the list. the way for faster, efficient and more innovative solutions to woo the customers.